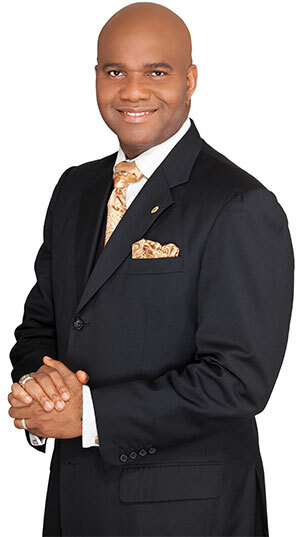 Douglas A. C. Eze established Largo Financial Services Inc. in 2000 with a vision to provide individuals and small business owners with the education and guidance needed to achieve financial freedom. As a wealth strategist, former registered securities representative and award-winning insurance agent, Douglas believes in helping his clients find money in places they may be throwing away money unknowingly and unnecessarily. He also equips individuals with the information and knowledge to make sound financial decisions. The hard work and dedication Douglas has exhibited in his many years of business has brought him widespread recognition and awards. He has been awarded the ACE Award through American Classic Agency for four consecutive years. National Life Group has recognized him as a Chairman’s Club Qualifier and Diamond Club member, a significant recognition reserved for the company’s top insurance representatives throughout the nation. Douglas is a distinguished member of the exclusive Million Dollar Roundtable, an organization of notable financial representatives. He was awarded the 2013 EPNET Male Entrepreneur of the Year in addition to being nominated among the Top 100 Financial Advisors of 2013 by the International Financial Leadership Association (IFLA). As a leading business figure, Douglas has also been featured in Profile Magazine and Power Broker Magazine as one of the Top 25 Top Wealth Builders and Financial Professionals in the Tampa Bay Area. Largo Financial Services’ mission is to help clients discover their path toward wealth and financial independence by improving their financial intelligence. The company currently has nationwide affiliate offices in Florida, Georgia, Texas, Maryland and Virginia with over 600 licensed Financial Consultants on his team. The company earned the ranking of #1 Division for American Classic Agency from 2007 through 2013, with cumulative life insurance sales totaling over $20 million. Headquartered in Maryland, Largo Financial is currently licensed to provide insurance, annuities, college plans and tax-free retirement products in nine states and the District of Columbia.